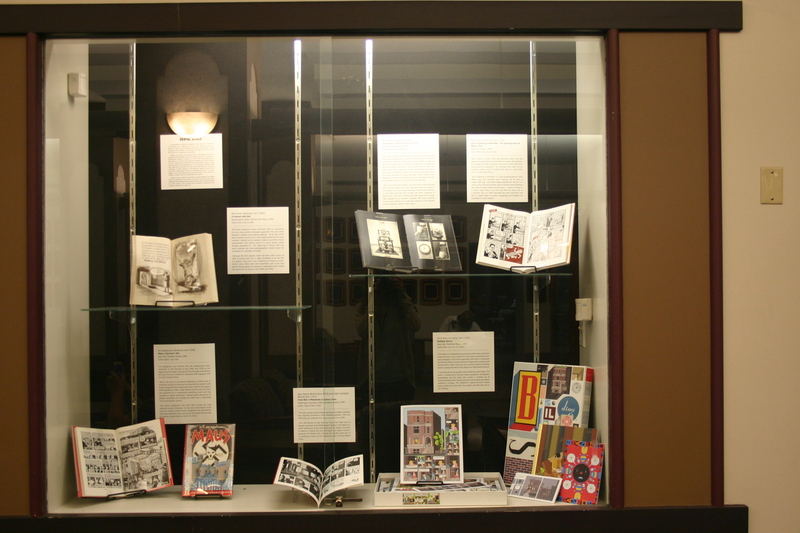 The Ellis Library Exhibits Committee is responsible for booking exhibits for five display cases in the main colonnade on the first floor of Ellis Library, and art displays for the Bookmark Cafe. 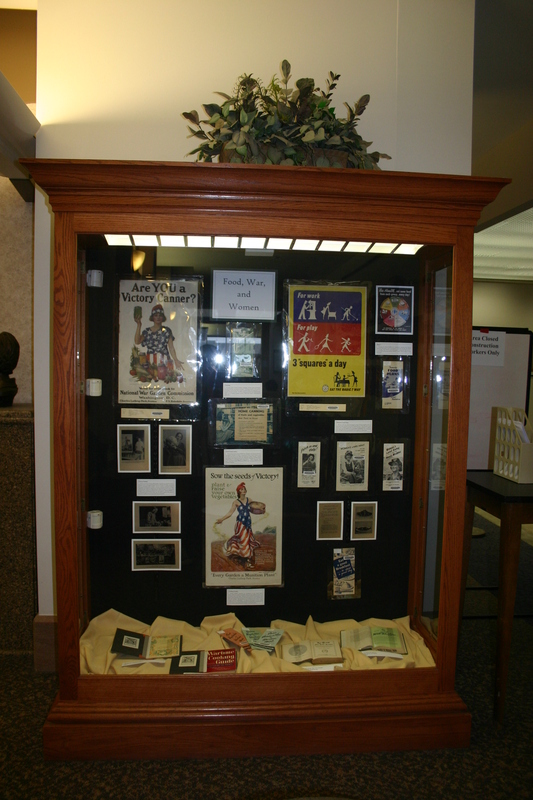 We welcome displays from the MU community. 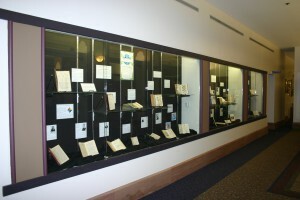 The full library exhibits policy may be reviewed online. 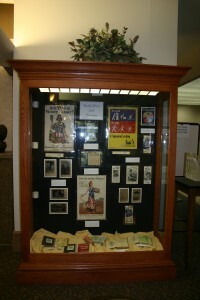 Exhibits run for the calendar month. Set-up may take place anytime during the first week of the month, and should be completely removed before the 1st day of the next month. Library exhibits have priority. Exhibitors may check out display case keys from the guard at the West Entrance security desk any time that the library is open. Each month there is an approved list of individuals who may check out the keys. Make sure the Exhibits Committee Chair has the names of all those who may want to access the cases during set-up and take-down. Florescent lights inside the cases are left on 24 hours a day, but bulbs are encased inside high-quality UV shields to prevent ultraviolet damage to sensitive materials. There are no electrical outlets inside display cases. We provide book stands, straight pins, and Mylar film strips for holding book pages open. We have hanging devices suitable for hanging about 9-15 framed works that go with our Walker Display system. Glass shelving for the built-in cases is available in a variety of lengths, from 3' and up. All sizes might not be available at all times. The display backing is cloth-covered wood – it is not cork. Thumbtacks will not stick. Use straight pins instead to hang papers, posters, etc. on the display's cloth backing.